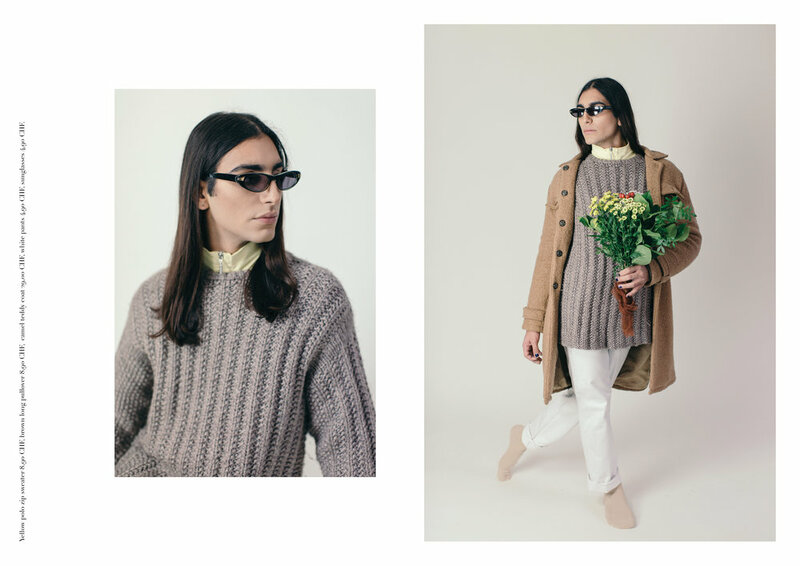 Today I am so happy to share the full look book that my dear friend and creative partner Manuela Marini and I created together with the support of Brocki.ch. Our project was developed for Geneva’s first sustainable lifestyle festival, Northern Lights Fest. The concept was to inspire festival goers with our look book and to remind the community that second hand shopping is not only good for the environment and sustainability, but that one can also look totally unique and polished with a little creativity and a hand from a talented stylist. We wanted to create a project that would support local sustainability, but something that we both felt connected to. For me, thrift stores and the Salvation Army have a lot of sentimental value. When I was young and growing up in California, I spent many afternoons volunteering with my grandmother at the Salvation Army Thrift Shop in San Diego. She volunteered weekly at the shop down the road from her home, and I chose this as my service project through high school. She and I would stand in the back of the shop sorting and pricing the second hand clothes, and I would run them to the floor. She was always buying her grandchildren little goodies from the thrift shop, I grew up receiving little treasures that she had found while sifting though the donations. I remember the countless pairs of clip on earrings, sparkly handbags, and cashmere cardigans, all previously loved and given a new home. I felt that this project really came full circle for me, as my grandma passed away last year, it was a way to sort of honour her memory as well as creating something positive for the community to be inspired by. 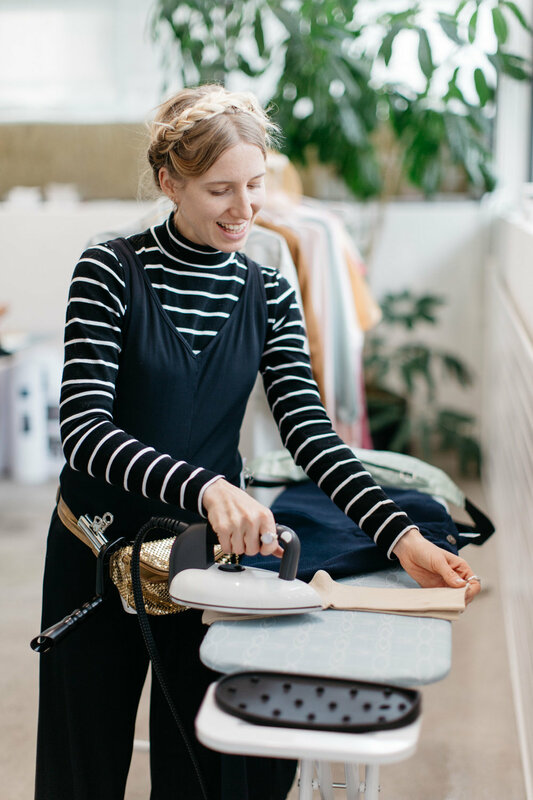 After coming up with a mood board and some inspiration for the shoot, Manuela spent an afternoon at the Brocki.ch shop in Lignon curating the selection of clothes which she would then transform into our ten looks, inspired by northern/scandinavian style. 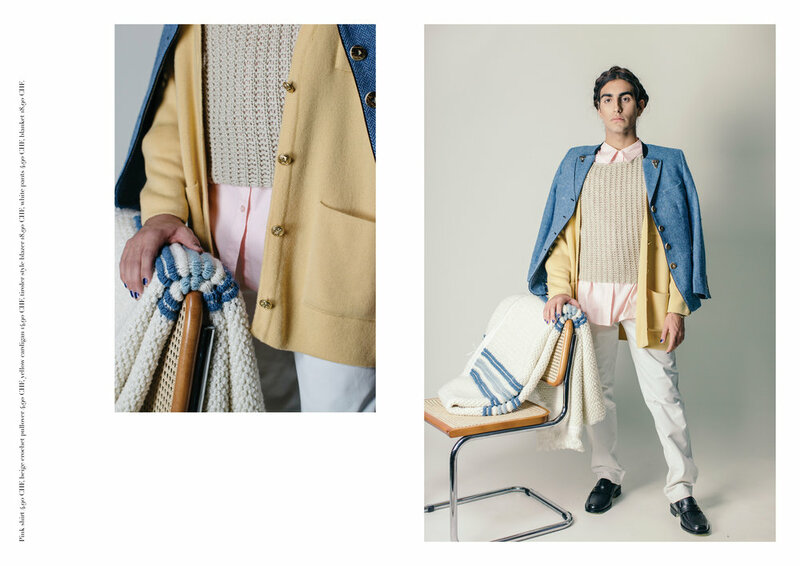 With the help of Faces of the Frontier ‘s scouting skills, we were able to shoot the book with our gorgeous model Hugo Marinoni, who played perfectly into the idea that there are no boundaries when it comes to personal style and identity. We loved his look but most of all his personality, unapologetically himself in this world. The photos were printed, the magazine was designed, and the clothes were all pressed and cleaned. The concept was to inspire people with our photos and sell all the pieces from the shoot at the original Brocki.ch prices. Fast forward to the festival, people were astonished at the prices of the clothes, no markup, with the original Brocki.ch price tags still attached. All the profits went back to the Brocki.ch (The Salvation Army), and we sold nearly all the pieces, even the yellow cape! We spent two days chatting with so many wonderful people, and had so much positive and encouraging feedback about the styling, the photos, and most of all the message. It’s only been a few months since I started working again, but this project was indeed a highlight of 2018! Thank you to my creative partner Manuela for your talents, vision and support. Thank you Hugo for being the star of our projet and sharing your beauty with the world! Thank you Camille for being the spark that ignited the fire and for all the support. Special thanks to Florence at Brocki.ch for the support of our project and for giving us free reign to choose, shoot and sell the clothes, and for sharing our message. Below are all ten looks, presented in the magazine layout which we gave out for free to those who visited the festival. All the prices of the clothes are listed on the side of each page. Enjoy! Camille, Manuela, Hugo & Me!